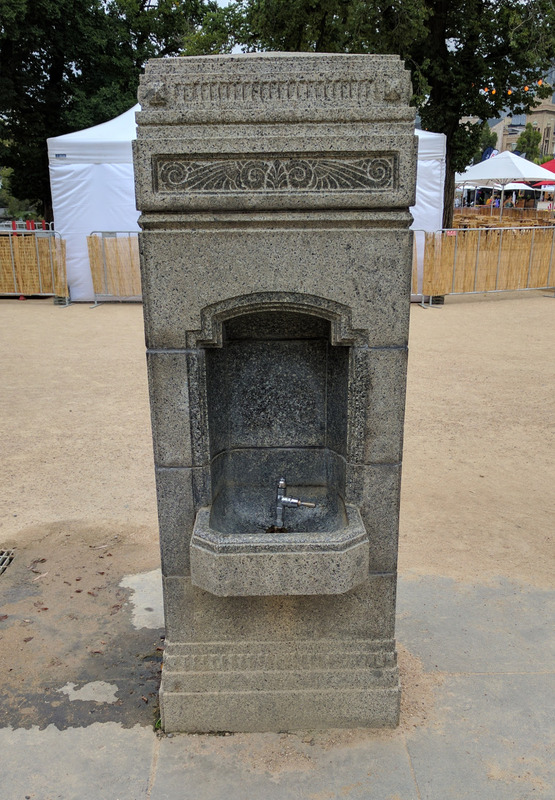 A drinking fountain (also bubble tap) is a device designed to provide a stream of drinking water from which a user can drink directly. Unused water is typically collected by a basin arrangement below the water stream. Drinking fountains are a common embellishment in Council parks.